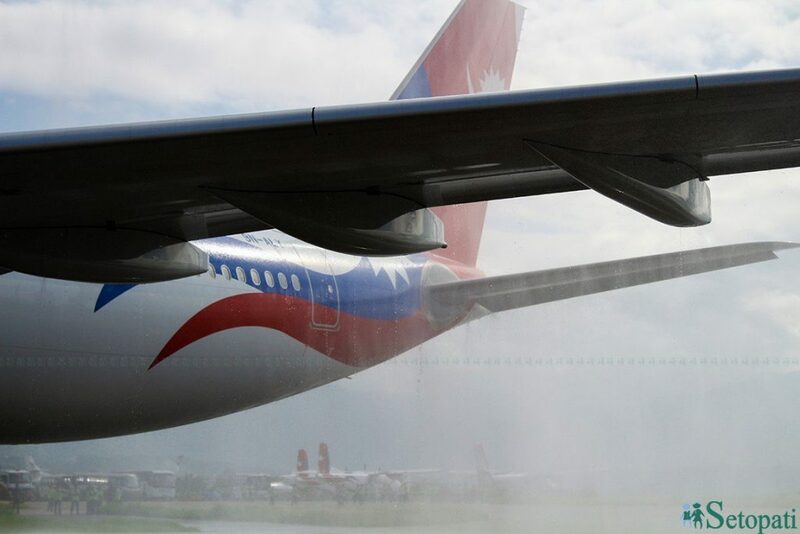 Nepal Airlines Corporation (NAC), the national flag carrier, has purchased a wide-body aircraft for the first time. 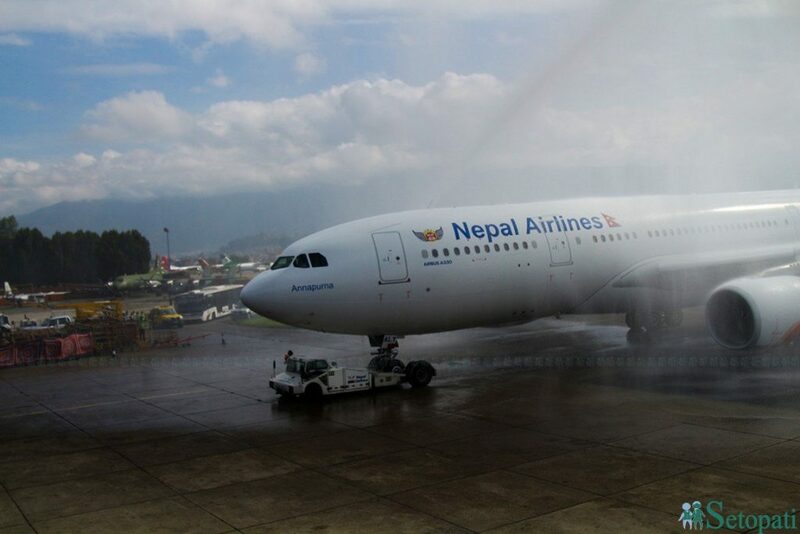 The airbus A330-200 landed at the Tribhuvan International Airport (TIA) from France on Thursday morning. 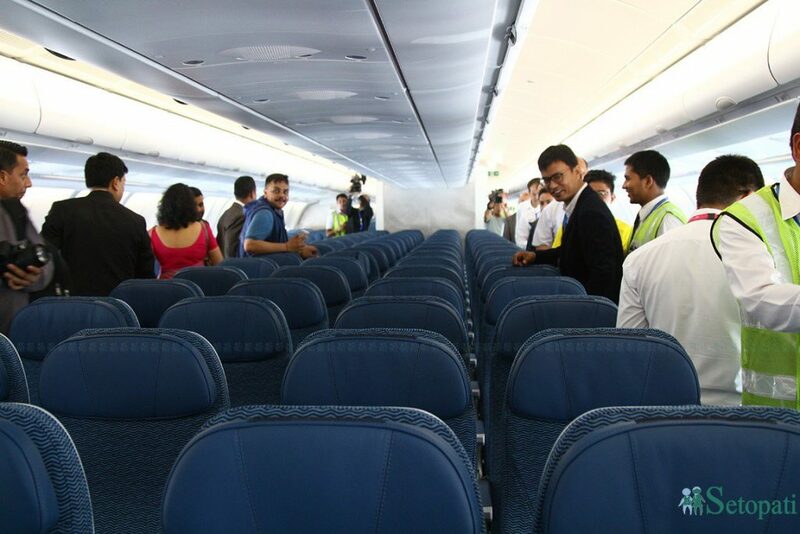 The airbus having a seat capacity of 274 has 18 business class seats. 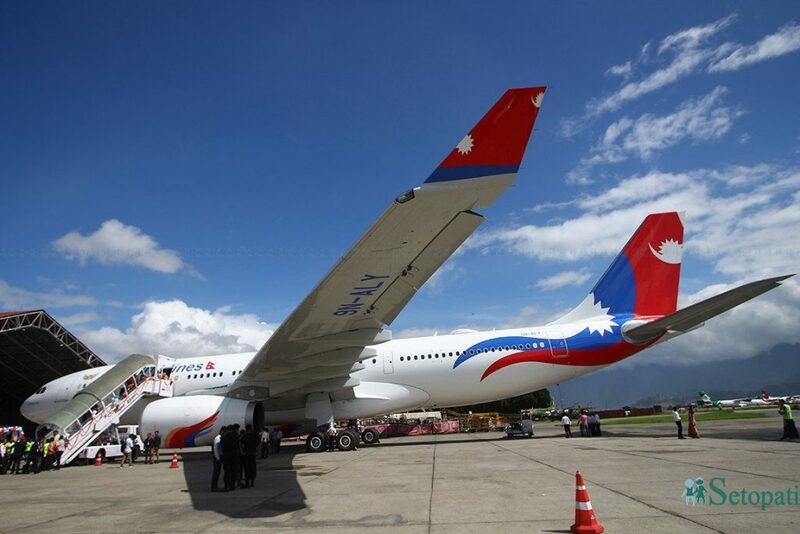 The airbus with registration number 9N ALY has been named Annapurna. 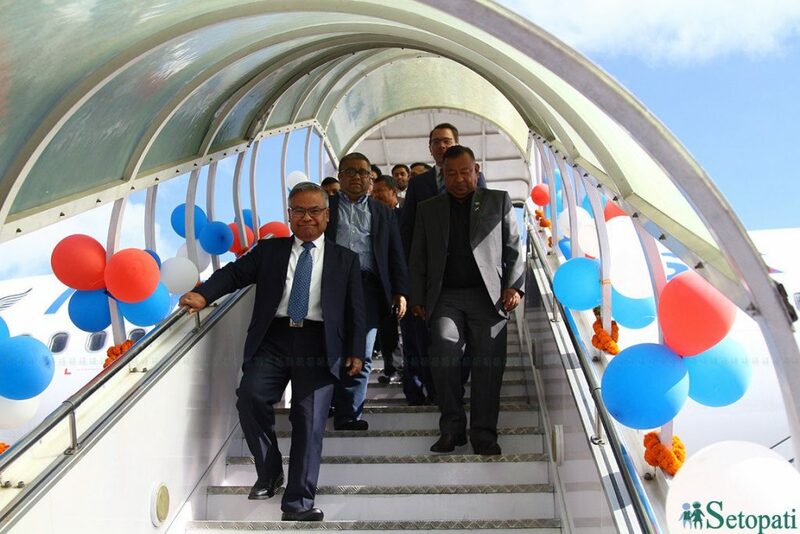 “The airbus will prove to be a milestone in the tourism industry of the nation,” said General Manager of the Airlines Sugat Ratna Kansakar. 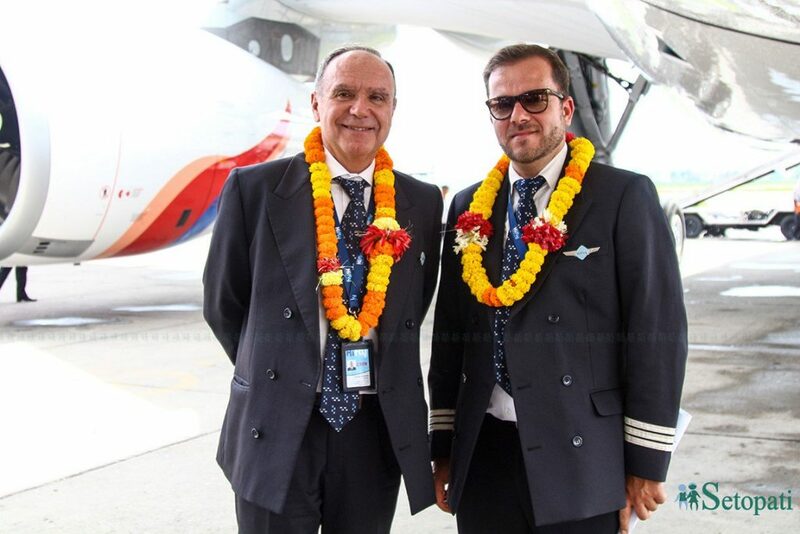 He said that the airbus 330 will also help establish relations with the international airlines. 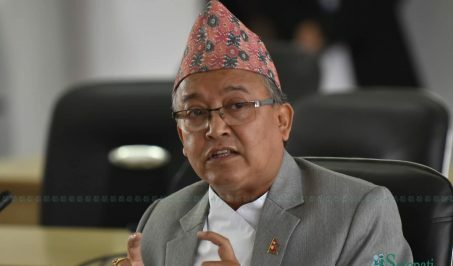 Similarly, Minister for Culture, Tourism and Civil Aviation Rabindra Adhikari said that the wide-body aircraft will also significantly help to make the Visit Year 2020 successful. 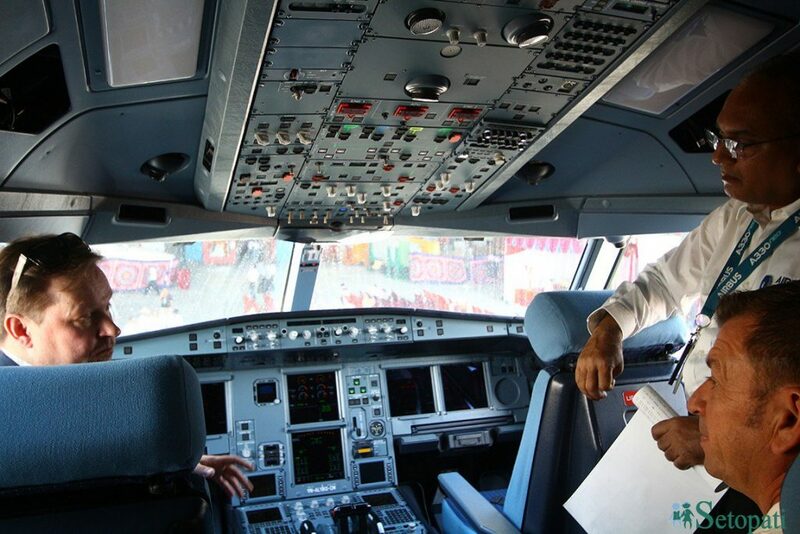 He also believed that the airbus will also increase the number of tourists. 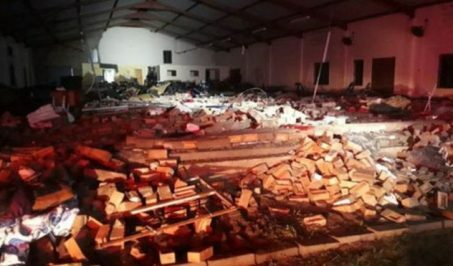 Meanwhile, Kansakar said that the second wide-body aircraft will arrive on July 25. 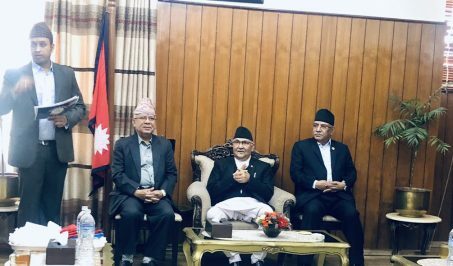 He said that the airbus 330 that arrived today will start its flight from August 1 after receiving permission from Civil Aviation Authority of Nepal. 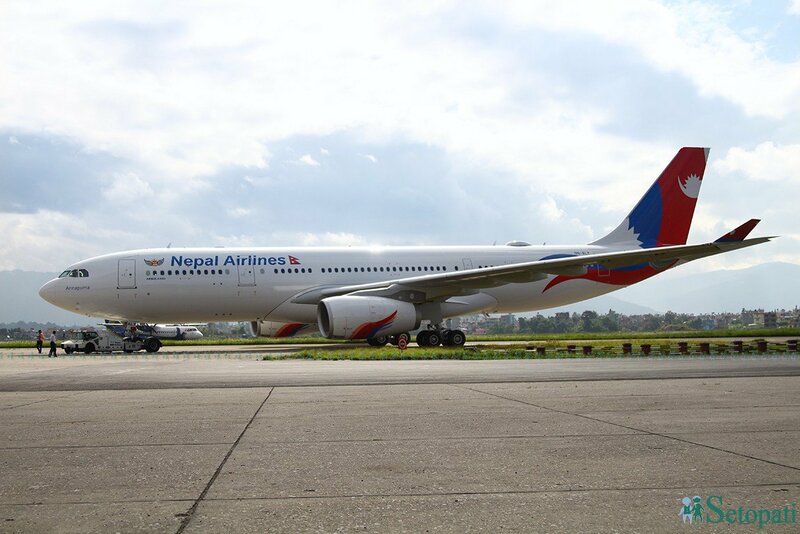 Currently, NAC has been conducting international flights with its one Boeing 757-200 and two narrow-body Airbus 320-200.